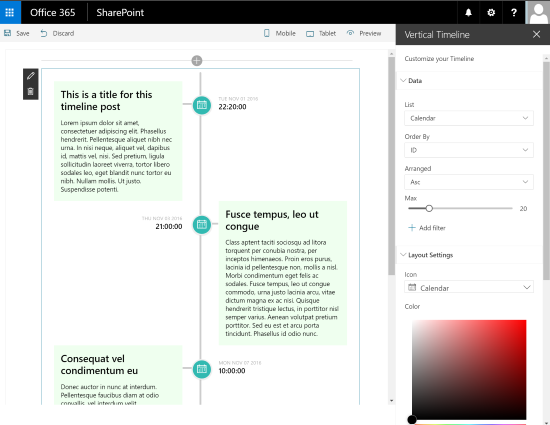 The Vertical Timeline Web Part is a SharePoint client side web part built with the SharePoint Framework (SPFx). This web part generates a facebook like vertical timeline. The timeline is built automatically from a SharePoint calendar list in the current site. This web part uses Timeline CSS3 lib. query: you can choose a SharePoint Calendar list, the order, the filters, etc.